The 1Malaysia Broadband Affordable packages will soon be available in 5 states- Sabah, Sarawak, Kelantan, Pahang and Terengganu. Based on local media reports, 1Malaysia Broadband Affordable packages costs RM20 to RM25 a month for 512kbps minimum broadband speed with 1GB data quota, while the fixed package costs RM38 a month for 384kbps minimum broadband speed and unlimited data usage. TheStar quoted Information, Com­­­­­­­­munications and Culture Minis­­ter Datuk Seri Dr Rais Yatim as saying that the packages were offered to the five states as their state broadband penetration rate was lower than the national rate. “We need to improve penetration rates in Sabah, Sarawak, Kelantan, Pahang and Terengganu which stand at only 40% to 50% compared with the national rate of 64%,” he said. 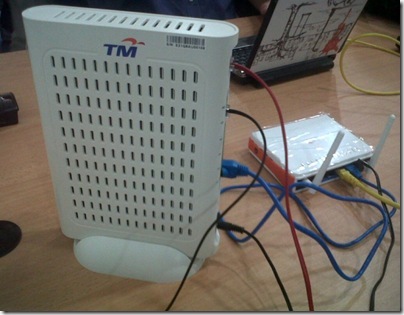 MalaysianWireless believes that almost all the key fixed and mobile Internet service providers(ISPs) in the country would offer the service, including Maxis, Celcom Axiata, Telekom Malaysia and others. At the moment, it appears that P1 and Yes does not have broadband coverage in Kelantan, Pahang & Terengganu. P1 however does have limited coverage areas in Sabah. (Update: P1 told us that they do have coverage in Kelantan (Kota Baharu), Pahang (such as Kuantan, Temerloh) and Terengganu (Kuala Terengganu), we believe Yes too may have limited coverage in these 5 states). 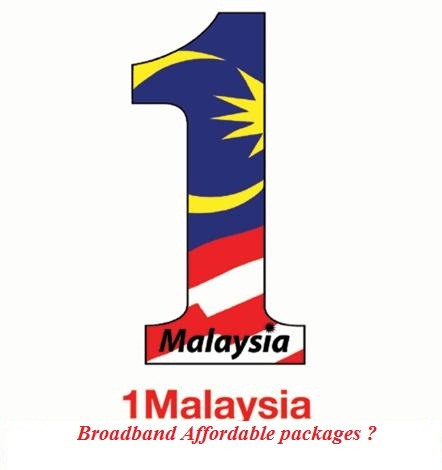 The 1Malaysia Broadband Affordable packages are expected to be available by Malaysia Day on Sept 16. Dr Rais added that eligible members of the public could subscribe to the service by buying a starter SIM pack from any service provider which carried the package’s exclusive logo. “The ministry and the Malaysian Communications and Multimedia Commission (MCMC) will have periodical meetings with the telco companies to track the package’s success, and with good response we might introduce it in other states,” he said. P.s: Each telco pricing varies from each other, we will try to reveal it soon.